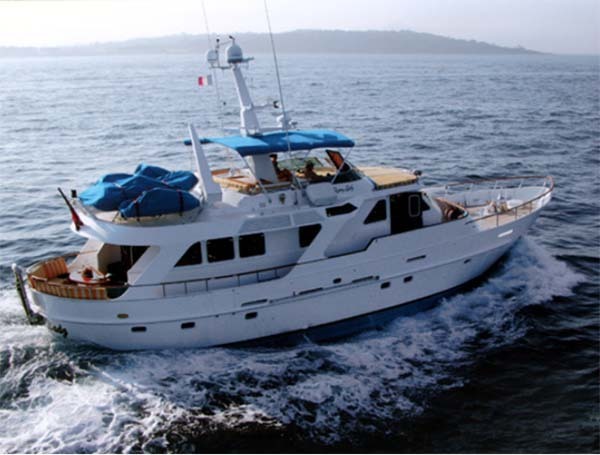 This unique yacht offers great accommodation and is a truly timeless yacht in every way. Her spacious cabins, nice salon, large aft deck, fly bridge with large settee and sun bathing areas offers cruising in comfort and style. The hull shape makes her a very safe cruising yacht for all cruising areas. She already has proven to be a real ocean going yacht and she has always been upgraded (new generators and main engine) and maintained perfectly through the years. This is the ultimate opportunity to own a very nice De Vries Lentsch designed yacht with an interior by Pieter Beeldsnijder. Her single engine (with emergency propulsion) makes her also a very economic cruising yacht and her hydraulic stern and bow thrusters makes maneuvering very easy. The yacht has much more to offer and therefore contact us for the specification or for an inspection.